These cute little pot pies can be made with any cooked meat and vegetables you have on hand. One of my boys has requested me to make beef, mushroom and swiss pot pies. While another wants a breakfast pot pie. I think those would be wonderful! My oldest son ate these as soon as I they came out of the oven. Grabbing one and running out of the room. They are perfect as a handheld meal or snack. And, don't you know they would be wonderful packed in lunches?! This recipe makes 12. You really need to double, no...triple, this recipe! At least if your family eats like mine. :) Ready to see the recipe? Go on over to Rhodes, view the recipe (you can leave a comment, too if you wish) and check your pantry, fridge and freezer so you can make these tonight! 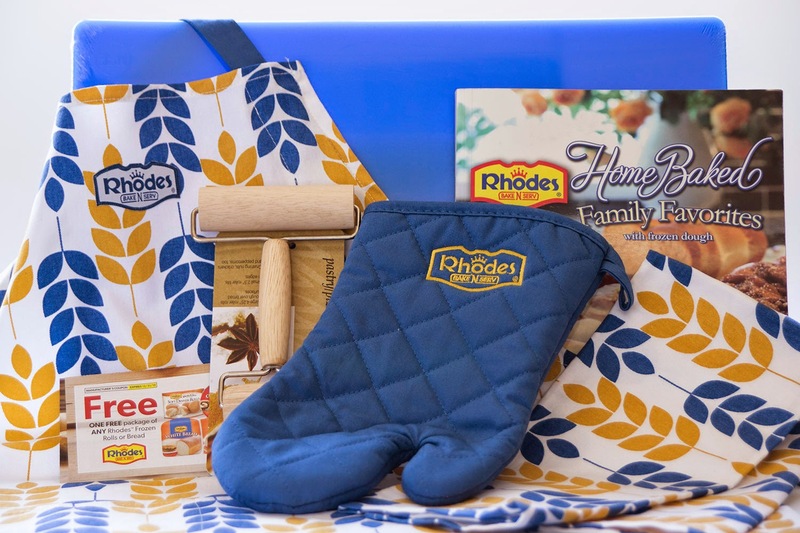 Let's have another Rhodes Giveaway, shall we?